Daisy Ridley is a British actress that is best known on the international stage for playing Rey in director J. J. Abrams’ ‘Star Wars: The Force Awakens’ (2015) and its sequel ‘Star Wars: The Last Jedi’ (2017). The Open University student, who is currently studying for a Bachelor of Arts degree in social science, was in 2016 named in People Magazine’s World’s Most Beautiful list. Read on to find out more about her personal life, body measurements, and achievements. Daisy Ridley was born Daisy Jazz Isobel Ridley, the youngest of three daughters to Louise Caroline Fawkner-Corbett and Christopher Ridley on April 10, 1992, in Westminster, London. Her father is a photographer while her mother worked as a banker. Her great uncle is Arnold Ridley, a well-known English playwriter, and actor. With her family having long-running ties to the performing arts, Ridley got a scholarship to attend Hertfordshire’s Tring Park School for the Performing Arts at the age of 9. It was also said that her family chose to enroll her in the school so she could channel all the energy which had been getting her in trouble in primary school in the right direction. At the arts educational school, Daisy Ridley developed a deeper interest in acting after she formed a close friendship with her drama teacher. She also took classes to further hone her abilities as a jazz and cabaret singer. Upon graduation, Ridley enrolled at Birbeck, University of London, to study classical civilization. She, however, dropped out from school to pursue an acting career. Ridley went on to work as a bartender in a number of London pubs while doing auditions. In 2012, she was hired to work on an animated horror-thriller film titled Scrawl which was later released in 2015. In 2013, she appeared in grime artist Wiley’s ‘Lights on’ music video and had minor roles in television series’ like Youngers, Silent Witness, and Casualty among others. The following year, upon hearing that director J.J. Abrams was looking to cast fresh faces for the new Star Wars movie, Ridley made sure to attend the auditions and ready for any available part. She attended about five auditions before receiving a call from Abrams himself who told her she had gotten the lead character role. Star Wars: The Force Awakens was released on December 18, 2015, to critical and commercial success. Ridley was lauded for her performance as the movie earned almost $530 million worldwide in its opening weekend before going on to be the highest-grossing film of 2015 with revenues of over $2 billion. She went on to do other projects like ‘The Eagle Huntress’ (2016), a documentary in which she narrated and produced, and then the movie adaptation of Agatha Christie’s novel ‘Murder on the Orient Express’ (2017) before reprising her role in the sequel to the previous Star Wars movie, Star Wars: The Last Jedi (2017). Other projects she has or is slated to feature in include ‘Ophelia’ (2018), the animated comedy ‘Peter Rabbit’ (2018), Daddio (2018), and Chaos Walking (2019). 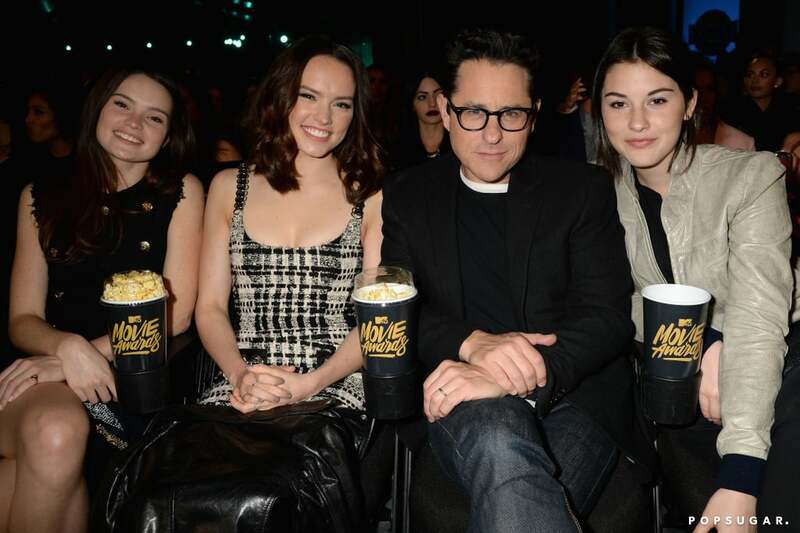 Daisy Ridley has two sisters; Kika-Rose Ridley and Poppy Sophia Ridley. The older of the siblings, Poppy Sophia, was born on the 1st of March, 1987. She studied sports science in college before going on to try out a career as a musician. Poppy Sophia is currently engaged to Australian Mark Semmens whom she lives with down under. The second sister, Kika-Rose, who was born in 1989, is a model who has appeared in a number of magazines. She began modeling at the age of 14 and has been able to forge a career out of it. Daisy Ridley is actively dating, and no it is not her Star Wars co-star John Boyega. Despite numerous rumors linking the pair together, Ridley and Boyega are just close friends. She is, however, dating Tom Bateman who was a co-star of hers in Murder on the Orient Express. The duo hit it off while filming the Agatha Christie classic novel and began seeing each other soon afterward. They kept their relationship under wraps although it was mistakenly revealed by a producer.